The UK Space Agency today published findings from its 2018 survey of the size and health of the UK space sector. These figures show UK space sector growth has accelerated, recording 4.5 per cent in 2016/17, more than double the rate of the previous year, with strong growth also expected for 2017/18. 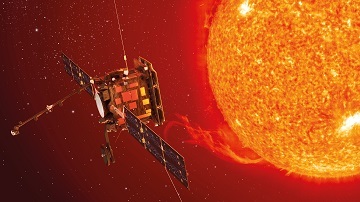 “The space sector is a major success story for UK industry. We are recognised world leaders in satellite manufacturing, ground systems and components, and satellite applications and technology. “It is no accident that this sector is making a growing contribution to UK prosperity, as usage of space technology grows while costs fall.